Join us July 6th, 2019! Vendors- the application is now available and for the first time, you can choose between paying online or sending a check! Located at the Mooselips Festival Grounds in Seeley, Wisconsin at Hwy 63 and County Rd OO. Admission is FREE! Many Vendors will be offering their wares, including paintings, photography, sculpture, wood working, jewelry, soaps, pottery, and metal “whirlygigs”. There will also be an author’s tent with local authors selling their books. The poetry jam starts at noon when participants can pick up their three words. They have an hour to write a poem which they then read to a panel inside at Mooselips. The winners of each age category then read their poem outside on the main stage. The Seeley Lions Club provides delicious food and beverages. 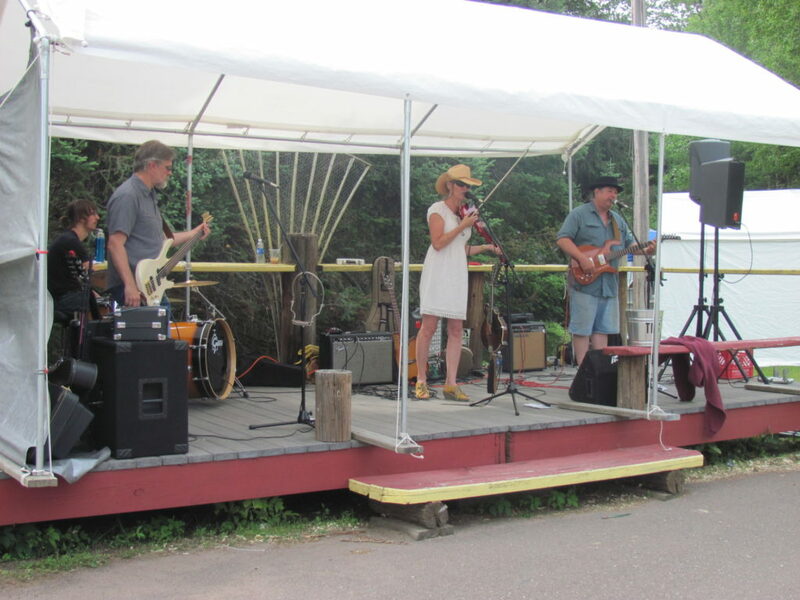 Don’t miss the best Summer Art Festival in Northern Wisconsin. Just behind the Sawmill Saloon and Mooselips Cafe on the Seeley Festival Grounds. This is a wonderful family event that has been held in Seeley annually since 1999!